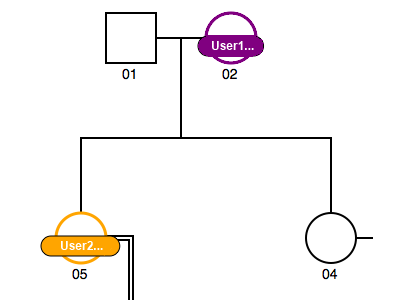 Create pedigree charts in a matter of seconds! 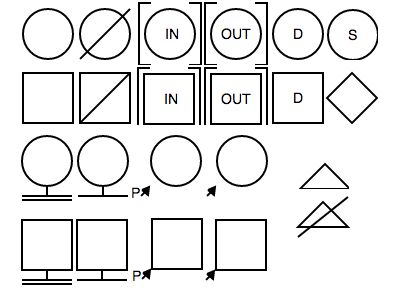 Fast, stable and completely secure pedigree drawing with self adjusting layout. 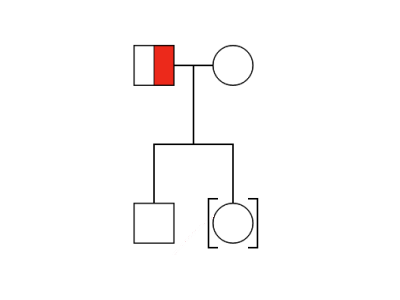 Genial Pedigree Draw is an online solution facilitating the creation of pedigree diagrams in an easy to use, browser based program. Charts are created and built in real time so you can instantly view the family history and inheritance patterns as the pedigree grows. 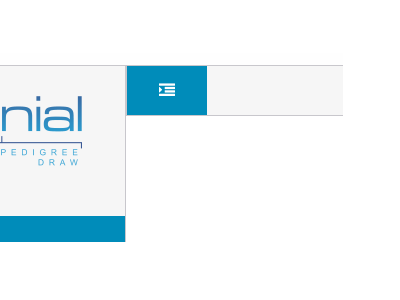 Through the managed online server with secure encryption and offering options to import from other pedigree packages, Genial Pedigree Draw aims to create accurate diagrams to be used for both clinical use, in an educational environment and also to create animal pedigree trees. Click and drag entries to new locations or over other entries to create relationships. 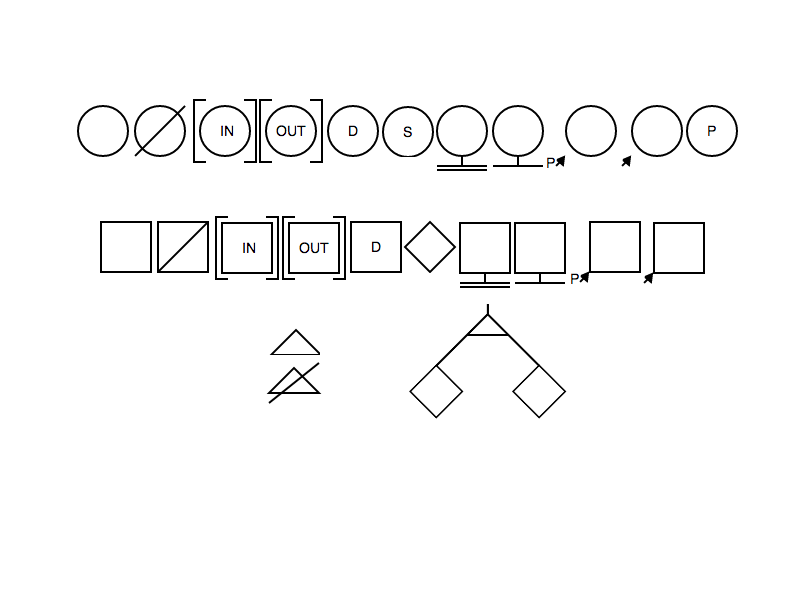 Export diagrams in PNG or SVG (other formats coming soon) & import data from other design tools. 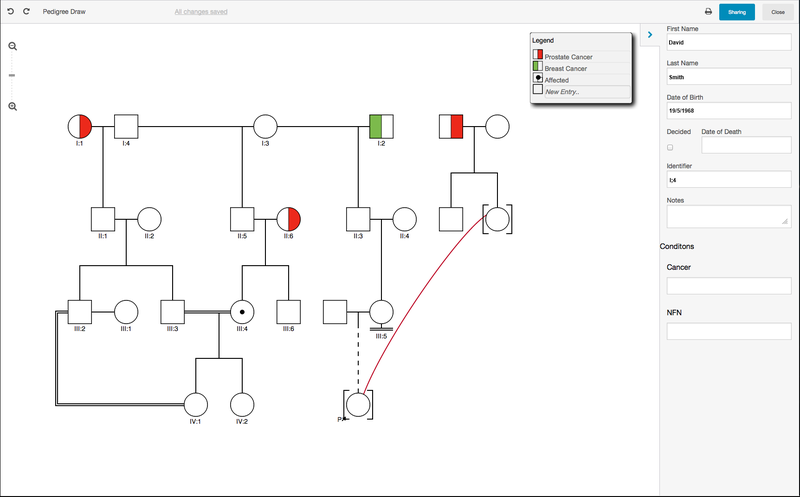 Zoom in and out of areas of the pedigree for greater patient focus and move around the diagram using click and drag. Click on an entry and add extra information such as name, date of birth and notes. 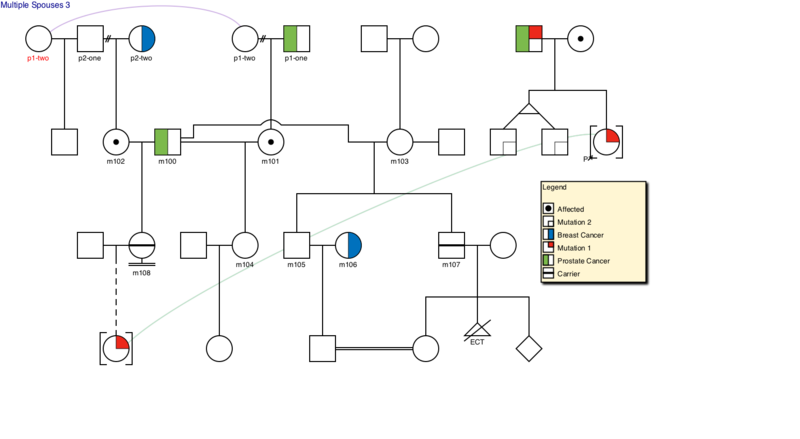 Any modern browser is capable of running Genial Pedigree Draw. Use the headers below to restrict the items and click the images for more information. Pedigree Draw utlizes the standard symbols as adopted by the Pedigree Standardization Task Force of the National Society of Genetic Counsellors. 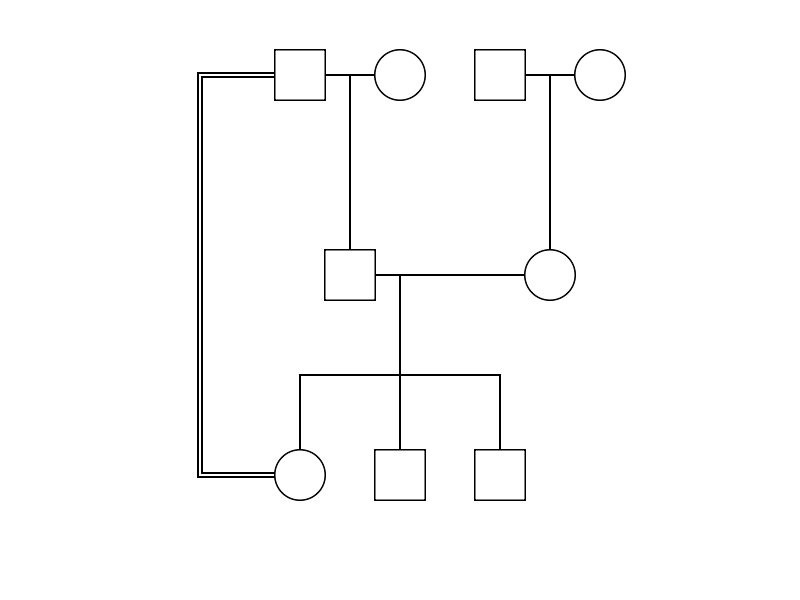 This allows the user to produce universally recognized pedigree diagrams. 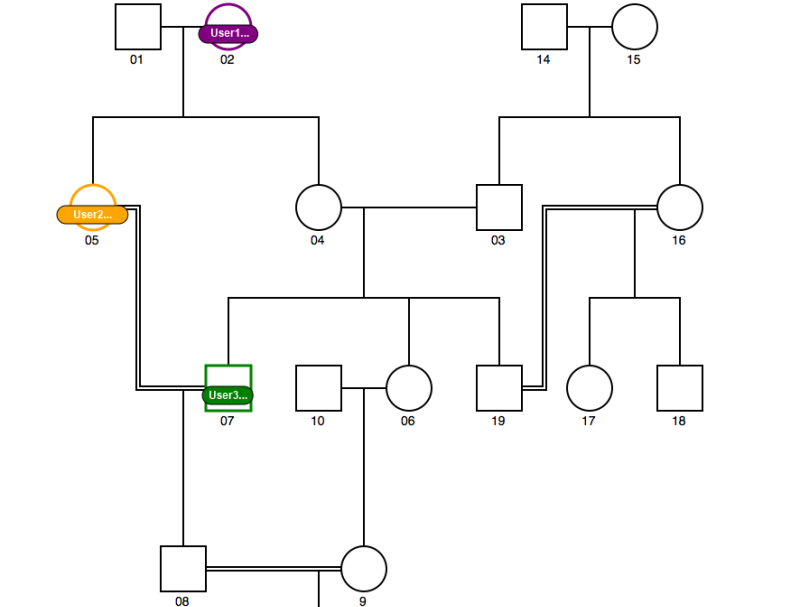 Genial Pedigree Draw and its comprehensive drawing engine enables complex family histories to be recorded. The automated layout engine will instantaneously display the chart in the most suitable standards compliant manners. 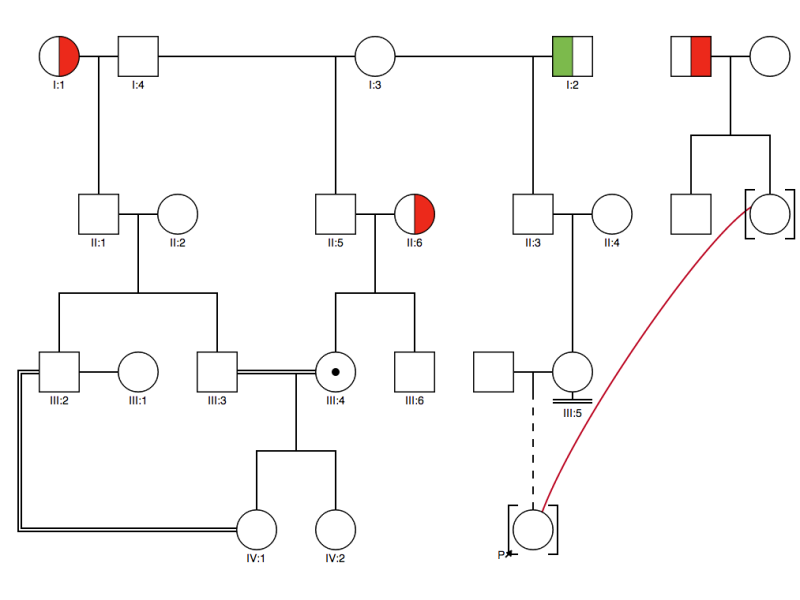 Pedigree Draw supports basic and consanguineous relationships, in addition to multiple partner relationships across different generations also making it an ideal tool for animal genetics! Users can easily build the pedigree using intuitive features such as click and drag and you will no longer have to manually adjust the layout! 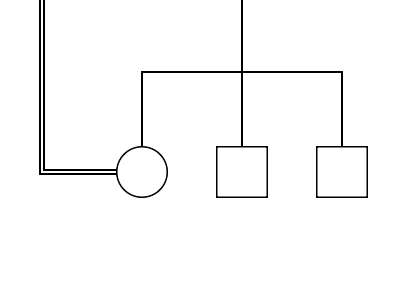 Genial Pedigree Draw will automatically optimise the layout of the pedigree. 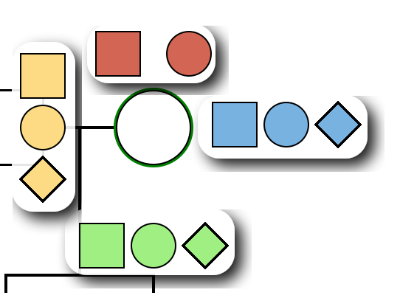 Advanced sharing controls will allow you to share your pedigree diagram with others using the system and even make changes on the same document at the same time. This is very useful for discussions and meetings to gain feedback from colleagues. 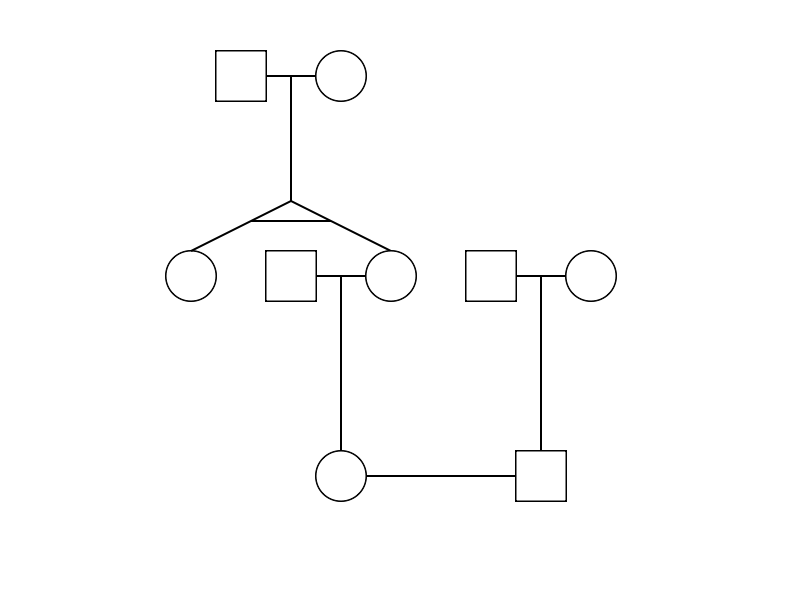 Simple interface to search, view and print pedigree diagrams. The universal search also searches for individuals within pedigree diagrams and the security controls permit sharing of the information between user accounts. Click and drag with self adjusting layout. Our Online Version is FREE! Our aim is for Genial Pedigree draw (GPD) to become the best pedigree drawing tool on the market and we need your help to get there. For this reason we have decided to make the online version free until further notice. We hope this will allow you to use our software and let us know what you like and what could be improved. This is an opportunity for you to shape the development of this application and help us to make the ideal Pedigree Drawing application to suit your needs. We will always try to provide support for our free version but please appreciate that we cannot prioritise support for our free version and would ask for your patience in this regard. Finally, please be assured that we will provide at least 3 months notice prior to any changes to our "free policy" for our web version. Thank you for your interest in Pedigree Draw. We will respond to your question as soon as possible. Please contact us via the above form or telephone our offices and we will be please to assist you.